It's that dreaded time of the year again, when the heavenly powers above are back in demand and revered only so you can make it to the passing mark in that math paper you've always hated. For my international readers, board exams in Indian schools are equivalent to the IGCSE A/O levels. Back in the day, entertainment options were quite scarce. People derived entertainment by rotating the radio antenna to all possible angles till the sound was clear enough, only to discover that a demotivated All India RJ was addressing the nation on the various types of pesticides that might be effective in crop cultivation. A new form of entertainment was the need of the hour. 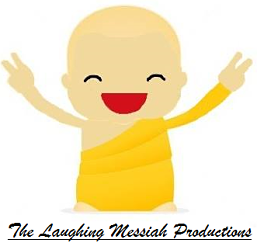 So, a long long time ago, a bunch of grumpy old men sat in a conference room and passionately debated with each other about how they could create an entertainment ecosystem where judging and humiliating random kids would become a much loved sport in our society. And voila! The treacherous board exams were invented. Like most fellow Indians, my first exposure to board exams was in class 10 - that stage where extra large genital diagrams are printed in biology textbooks, thereby virtually guaranteeing many awkward silences during class, all year long. Motivation is very critical at this stage. We had our seniors give us pep talks about how they scored 99 per cent in the board exams and the clouds split apart, and soon enough, blonde Russian women popped out of the sky to oil their fictitious six-pack abs. Preparation for board exams is the next mammoth task. It's not board exams till the time you start getting bombarded from all ends with the so-called "very important questions". Teachers come up with these questions after applying probability and regression theories, coupled with loads of "eenie meenie miney moe" analysis. Now, cramming answers to these questions can supposedly pave your way to intellectual supremacy. Mind you, these questions are leaked only to the privileged few - in other words, the crème de la crème - of the class. 1.) Are you the teacher's pet? No? Jump to the next question. 2.) Is the teacher's pet your buddy? No again? Jump to the next question. 3.) Do you worship the dust beneath the teacher's pet's buddy's feet? If your answer to third question is negative, too, your chances of bringing dishonour to your family name are just about as high as Shakti Kapoor. The best way forward is to avoid any kind of human contact with friends who ask you random questions a few minutes before the exam. This breed will ask you questions not because they want to know the answers, but to remind you that you didn't study a small part of the exam syllabus well enough, and therefore, deserve to fail. 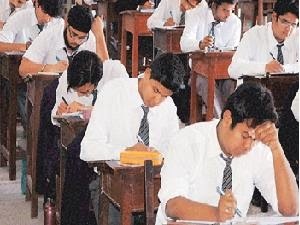 Cheating during board exams is not highly recommended, unless you want to shoot to instant fame and be a part of the numerous myths which surround the board exam disciplinary committee. My favourite myth is the one which says that if you get caught cheating during board exams, you and your future generations will be barred from giving exams ever again. The rule applies even if your future generations manage to produce offspring with extraterrestrials. #ProTip: Just in case you are one of those "hyper precautionary" kids, always remember that carrying those two dozen extra pens and pencils with you in the exam hall does not, in any way, reduce the chances of an earthquake, or for that matter, Godzilla appearing on Marine Drive. 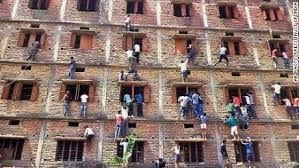 Speaking of board exams, there was a huge controversy in Bihar recently, where, at one of the examination centres, mass cheating took place and people actually climbed the walls to hand over scraps of paper with answers, to their loved ones through the windows. Which is pretty cool when you come to think of it because, until sometime ago, as a nation, our passion for adventure sports was pretty much limited to puncturing car tires of pesky neighbours to seek revenge for emptying the building water tank with their lavish water consumption . Think twice before you curse the board authorities. They have introduced subjects like environmental education in the sincere hope that the next time you see a tree being chopped in front of you, you will immediately run home and grab a hand sanitiser and bunch of perfumed tissues to re-enact the Chipko movement and hug trees. Anyway, good luck to everyone for their board exam results. May your marks be the envy of many and may you get struck by lightning for flaunting that 99.75/100 score in math.